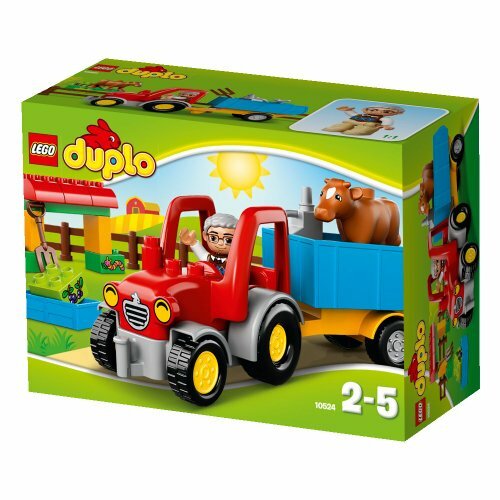 Features a buildable LEGO DUPLO Tractor and trailer with tipping function, shelter and a fence. Accessories include an oil can, wrench, pitchfork, feeding trough and flower elements. 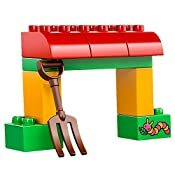 Also includes worm- and berry-decorated bricks and additional classic DUPLO bricks. 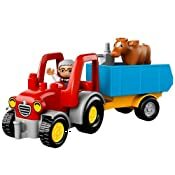 Raise the tipping trailer and offload the food, fix the tractor with the oil can and wrench and feed the cow to keep it happy. 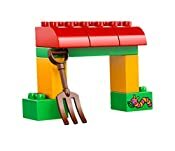 Help your child master basic building skills. 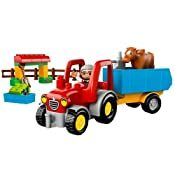 Enjoy role playing with your child to learn about life on the farm.